So, Hackney is the worst place in the UK to live, is it? A survey of 434 council areas for a Channel 4 show on property suggests so. Well, as a resident of the borough - albeit for only the last four months - let me tell you one thing: the findings are rubbish. For many of us, this pearl of cultural diversity and tolerance in north-east London is little short of an earthly Eden. Bars, restaurants, parks, canals reminiscent of the great days of Venice - we have it all on our doorsteps in Hackney. People of many ethnic groups mingle quite happily, while the architecture - much of it Georgian and Victorian - is often beautiful. Hackney Marshes, the legendary home of Sunday league football, was deemed so cool that fashion firm Nike felt compelled to emblazon the local authority's logo on its sportswear. For goodness' sake, the Olympics will be held just down the road in 2012 - and I don't see Sydney, Barcelona or Beijing getting a pasting. 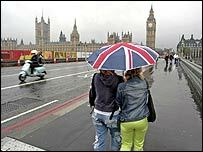 But Phil Spencer and Sofie Allsopp, presenters of Best and Worst Places to Live 2006, choose to accentuate the negative. Its website asks whether whole areas of the country are "successes" or "cesspits". So, by that reckoning I live in a large receptacle for human waste. Sure, an area nicknamed Murder Mile is a Hackney feature and the centre of the borough is not exactly flush with Tube stations. But the schools are getting better and I've never noticed the pollution. Westminster has the glamour, but who wants all the tourists? There aren't knife-wielding hoodies on every corner, choking in the smog as they gorge their way through processed kebabs, before choosing which defenceless granny to attack. In my time here, I've been involved in two "harrowing" incidents. The first was when I asked a young woman cycling along the pavement why she couldn't use the road instead and received a stream of invective in return. The other was when I saw a couple of kids throwing bangers around in the beautiful Clissold Park - described by the show as a "crime hotspot". It's hardly Mean Streets, is it? As fate would have it, I work in Westminster, described by last year's survey as the second most "des res" in the UK, after Epsom in Surrey. That means I go from the worst to pretty much the nicest part of the country every morning. Of course, I like the Palace of Westminster and the views across the river as much as the next tourist - but does that make it 430-odd places better than Hackney? The show would probably describe my daily commute as Infernal Hell Parkway to Paradise Central, via Purgatory (actually, it might have a point about the Piccadilly line). But this is a gross over-simplification. In fact it's much like the whole premise of dividing the country into where's "good" and where's off-limits to property price-obsessed, culturally blinkered, bourgeois philistines. Phil and Sofie: come and have a look if you think you're hard enough. Oh, and property prices are on the up too, you know. Hackney is far from perfect but those of us who have escaped from the suburbs know that it's a far more exciting and stimulating place to live than somewhere like Epsom or Esher, both of which sound like my idea of hell. I've lived in Hackney for about a year, and I love it. It's a place that is changing rapidly, which makes it exciting to live in. I'd much rather live here than in the Surrey suburbs! Hackney is wonderful. I have recently moved back to Hackney from Islington which was dull and full of snobs. At least Hackney has some character, which places like Islington lack with their wall-to-wall Starbucks and burger restaurants. I think Hackney is very representative of an increasingly polarised UK - very poor enclaves right up against very wealthy enclaves. The two live side by side but never meet, don't go to the same schools, shop in the same shops, or have anything in common except an "up and coming" postcode. I've lived in Hackney for about three years now and it's easily the best area I've ever lived in, having previously been based in Luton, Croydon, Staines and Egham. It's the only place I've lived with any kind of real community spirit. People really seem to take pride in the area and look out for each other. They know all their neighbours' names and help each other out. 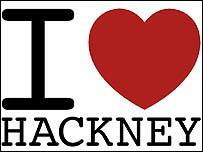 I have lived in Hackney for over 40 years. I choose to live and work in Hackney. This is my borough and I am proud of it. I have no intention of living anywhere else. Yes, we have our problems but which inner-city borough doesn't. I have been working in the Hackney area for nearly three years now. In that time I have passed the odd crime scene and, sadly, the odd bouquet of flowers attached to railings but I have never felt unsafe, except for the possibility of being mown down by cyclists confusing the pavement with cycle routes. Hackney's okay by me! Hackney is on the up, it cannot be denied, but ignoring the poverty, pollution and social disarray in the borough because "we're getting the Olympics" and you haven't yet been stabbed is a little short sighted. I've lived in Hackney for 10 years and there are both good and bad points. I don't believe that it's the worst place to live in the country but there are still huge problems. At the same time there are some very nice areas full of very nice Victorian and Georgian houses. It's a great diverse place and it's certainly never boring.